Much of camp is produced in the form of various media- movies, TV, literature- but it can also be embodied in a location or cultural tradition. The trick is, some of these camp sites, if you will, are so commonplace that we don't even know to place them in the same category as other camp media. 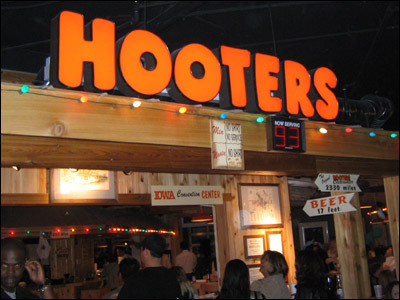 This page is dedicated to recognizing the camp in the places of our day-to-day lives, everything from Hooters to Disney World. So pull out your road map, and take a tour of some of Camp Academy's favorite hotspots. Places? How about the board of Class Struggle the board game for Communists! You're a campademic looking to do some research, but where to get started? No worries! Check out Movie Meccas: A Consumer's Guide for practical places to load up your camp collection.